Jean Haner has written a very interesting book that has received good reviews. What caught my attention about Jean is that she, like me, thinks that lines on a woman's face make her more beautiful. She explains that "we react to faces subconsciously, and wrinkles are like a blueprint that reflects our beauty on the inside." "That's more powerful than any antiaging cream," she says. Haner explains that where lines appear on the face most prominently says a lot about a person. 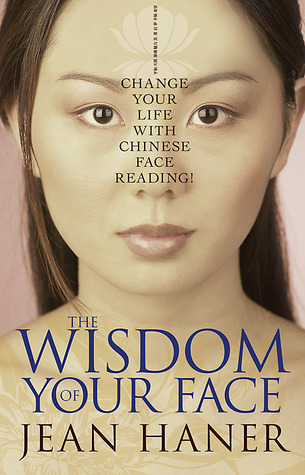 For instance, in Chinese face reading crow's feet are known as "joy lines". People with these lines are usually warm, affectionate, and have an open heart. Others are drawn to those with joy lines because they appear friendly. Smile lines, the parenthesis-like wrinkles on the sides of the mouth, are the most positive lines that people can develop because they show confidence and contentment in life. Vertical wrinkles on the cheeks signify graciousness and those who wrinkle here tend to be the ideal hostess. Constant care for others creates muscle tension in the jaw and lower cheeks which forms these lines. It's important for those with these lines to take more time for themselves. Horizontal forehead wrinkles show wisdom. People who have more of these lines are usually wonderful mentors and inspire trust and confidence in others. Lastly, vertical lines between the eyebrows show intelligence. They are called "guidance lines" and reveal a person who is smart and focused. If these lines appear suddenly it can mean that the person is frustrated because they have veered off course in life- also known as "knitting of the brow." Thank you to Maureen for letting me know about Jean Haner. This is so fascinating...I would love to have Haner "read" my wrinkles! Great post and I want a face reading too. Looking forward to reading the book. Good morning! LOL! I have the lines of a life lived...a grace given and a lot of laughter...tears too... How are you dear girl? Enjoying spring? (Feel like summer here already!) Tending the garden and pulling the weeds...total analogy for my life! Have a blessed day!!! Me too. I forgot to say that years ago I purchased the book "Your Face Never Lies" which is also very good. Let's re-brand crow's feet into joy lines starting today! Well, this is a really lovely way of looking at wrinkles, but for myself, if you have them (wrinkles on the cheekbones and/or cheeks)like I have, there is nothing lovely about them. A deeply lined old face is not lovely, however lovely the personality of the person behind the lines. I will do whatever I can to erase these lines. Would I have Botox? I did, and would still have it if it worked for me. I am investigating a facelift at present, as I have done all that non-surgical procedures can do. I think anyone who doesn't and thinks aging is attractive is kidding themselves. If others are happy with their wrinkles, more power to them, but there's no way I'm living with them if I can avoid it.